Trying out MarsEdit for my Blog. I have been using WordPress for quite some time now, and love it’s flexibility. One thing that I find hard about it, is the Admin user interface. So, today I downloaded MarsEdit, by Red Sweater. It lets you create posts offline, edit existing posts, and gives me access to all my local media on my Mac. It also lets me play with text markups with keyboard shortcuts! That is huge…Once I am happy with the post, I upload it. It is that easy! Give it a try! Here is a very well written review of Marsedit. It is very in depth, and acts as a good tutorial on it’s features. Another entry into the blogging arena is Ecto. 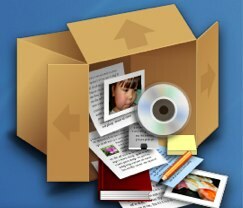 It seems to have good integration with OSX media, and seems very feature rich. It is about $10 cheaper. Both MarsEdit and Ecto have a free trial period. Try them both out and see which one works best for your workflow. Next PostNext Do you have a backup strategy?